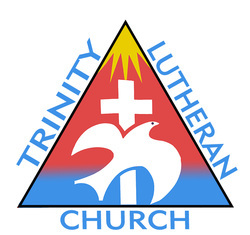 Welcome to Trinity Youth and Children's Ministry! Children’s Sunday School meets in the Youth Room immediately following the 9:30 service. The class is led by Sondra Hart, Freia Stephens, Tim Ortega, and Lindsay Hart. Every child, from toddler through fifth grade, is encouraged to come, make friends, play games and learn about Jesus, the Bible and what it means to be a Christian. Each week we start with prayer requests, have a short lesson, play games or have activities that reinforce the lesson. We end class each week by holding hands and reciting the Lord’s Prayer. Family Faith Formation is a multi-generational interactive bible discussion for middle school, high school and adults. They meet in Pastor Combs’ office during the Sunday School hour in the Paul George Room. It is led by Anne Cain, Sue Combs, David Combs and Gary Hart. The discussion centers around one of the readings for the week. All are welcome, so bring your doughnut and coffee and join us any week you can. AFFIRM is an awesome one week, one-of-a-kind Lutheran camp experience serving youth grades 6-12 who live in the Southeastern Synod of the ELCA (Georgia, Mississippi, Tennessee, Alabama) for over 50 years! It runs from Sunday, June 16 to Friday, June 21. Registration is completely digital this year! Registration deadline is Sunday, April 28th. Participants are asked to pay the $200 deposit for registration (scholarships available). Sign up in the welcome center to let us know you have registered or see Pastor Chris for more information.